A stay at Pearl Hotel places you in the heart of Phuket, within a 5-minute walk of Phuket Trickeye Museum and Phuket Baba Museum. Featured amenities include complimentary newspapers in the lobby, dry cleaning/laundry services, and luggage storage. Event facilities at this hotel consist of a conference center and meeting rooms. Free self parking is available onsite. 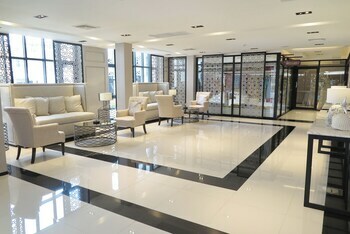 Located in Bangkok (Phra Nakhon), Paragon One Residence is within a 15-minute walk of Khao San Road and Wat Suthat. With a stay at Tanote Good View Resort in Koh Tao, you'll be a 1-minute walk from Tanode Bay and 5 minutes by foot from Laem Thian. With a stay at this villa in Pattaya (North Pattaya), you'll be within a 15-minute walk of Wong Amat Beach and Bamboo Beach. Free self parking is available onsite. When you stay at BB House Beach Residences in Pattaya, you'll be near the beach and 5 minutes by foot from Jomtien Beach. Free self parking is available onsite.